The prevailing atmosphere of Onomatopea's self-produced debut is one of inspiration and a search for inner truth. As opposed to the often trodden route of new age mantra chosen by many, this Italy-based couple, Andy Pietropaolo and Delia Lyn, has taken up the theme with a sunny journey through a melting pot of influences. Their musical knowledge and experience is obvious from the very first note and for all their eclecticism, Onomatopea have a very personal voice, hopping musical borders and subtly incorporating overtones from all into an ingrained signature. A semi Latin-American/ethnic feel often permeates the air complimented by jazz and r n' b ingredients. The opening track 'Timeless Moment' even has a driving rhythm not too far out of line with current trip-hop culture, beneath an inquisitive bass-line poking its head around every corner. At the forefront are Delia's expressive vocals displaying colourful dexterity with a texture recalling Matt Bianco's Basia Trzetrzelewska. This is evident in 'Dreaming'; a song of hope featuring luscious vocal harmonies and a fluid six-string bass solo to die for. The occasionally multi-layered vocal arrangements invoke Joni Mitchell, especially in 'You're so wild' and move into Bjork territory in the introduction to 'The Power of light and love'. 'Change' exudes an LA mood through Rhodes electric piano and Moog-like synthesizer, while 'Infinite Burning' highlights Andy's 'Pastorian' virtuosity within a mellow swing approaching jazz/fusion. A static canvas of ethnic percussion sets the scene for the closing 'Chant of the migrating soul', where Andy's improvisational skills roam free, interwoven with a spoken poetry of evolution. Experimentation granted, this is a happy, accessible music full of warmth and serenity with more than enough substance to satisfy the most discerning listener. 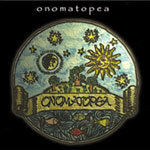 The CD is available from Onomatopea's label - http://www.onomatopea.com/.